follow I am passionate about growing old with my husband. It’s my desire to intentionally journey through life with him and see Ephesians 5:22-23 lived out. 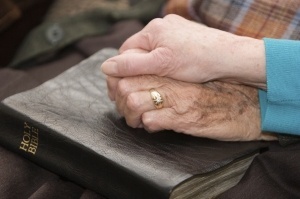 I want my marriage to be a representation of the relationship between Christ and His church. When people look at my marriage, I want them to see a picture of Jesus. While I certainly do not have this perfect, 28 years of marriage has given me some practice. I hope that the following is able to leave you with a few pointers on how to cultivate a healthy and thriving marriage. http://whenwaterwaseverywhere.com/?x=best-price-real-viagra-in-us Be committed to your own personal and spiritual growth. miglior sito per comprare viagra generico spedizione veloce It is tiring to try to change someone, especially when the only person you can change is yourself. I cannot and should not try to change my husband. Thus, being committed to my own personal and spiritual growth is extremely important. To become more Christ like I’ve developed various habits and disciplines such as studying God’s word, having quite time, listening to the Spirit, praying, and having accountability. To become a better wife, mother, friend, etc., I’ve sought wisdom from God’s word, how to books, bible studies, classes, counseling, and mentoring relationships. I still have lots of room for growth. Personally, I think that marriage is less about being married to the right person and more about becoming the right person. For more helpful suggestions join me at THE A.R.T. OF DOMESTICITY. Just a little Werner update or, more specifically, what two twelve year olds taught this mom in only 7 days. Last week, Cayley and her friend Halle decided that they should start a business. Did I mention they are only twelve? I occasionally would listen in but never did I imagine that a week later they would be launching an e-commerce website hawking their hand-made creations. The two spent hours talking about various aspects and details in regard to what the website should look like including content, pricing, shipping, etc. Everything on the site was chosen by them. Once they decided on products, they both diligently began working. They landed on a bird nest necklace design which is very unique. They both blow my mind with their initiative and creativity. It’s been fun to watch Cayley being so industrious as she has cranked out ten necklaces in the last three days. Why? Because since the launch on Monday they have had several orders. There was a part of me that wanted to step in to provide some wisdom but I also wanted to see how things would go. Only a few things could have been done differently but how were they to know this? After all, they have already accomplished far more than most adults have done, myself included. Personally, I would have wanted them to take things at a much slower pace while creating more inventory before launching. I felt this way because we have been traveling for five weeks and my agenda for my first week home included preparing for the 2013-2014 school year. However, I wanted to help Cayley succeed thus multiple trips to Michael’s and Hobby Lobby filled my week, as did photographing merchandise, helping to promote (a.k.a. being Cayley’s cheerleader) and sitting with her as she cranked out necklaces. It’s hilarious but Cayley and Halle have taught me a great deal through this process such as to dream big and go for it. They didn’t allow fear to stop them as they had no idea what to expect. Truly, this has been home schooling at its finest as it certainly has been an incredible learning experience for us all. I am very proud of Cayley and Halle. Halle and Cayley have never met in person as Halle lives in New York. So what’s their connection? I met Halle’s mom, Kristen Kill, three years ago through Mom Heart Ministry and we both thought our girls should meet and become great friends. The girls connected via Instagram by following each other and then around May, Halle called Cayley and the two began talking on a regular basis. They usually text or FaceTime daily. Their intentionally with each other has forged a sweet friendship. We hope to soon get the girls together in person. Be sure to visit their website, The Yellow Polka Dot. Cayley’s products will have her initials after the description (CW). Halle, also has beautiful designs. The necklaces make wonderful gifts. If you see something you like, order it, before it’s gone. One of my most valuable family possessions consists of the various memories we’ve created and share together as the Werner family. When we are together, I enjoy hearing the phrase “remember when …” as memories are about remembering when. We all desire for our children to grow up having wonderful memories to look back on and as mom’s we get to be the conductor of making beautiful memories. Hey Moms, did you know we have an wonderful opportunity to be the memory makers for our family? What are some the memories your children will recall? The Werner girls would say, “our family meal times and “high point/low point” game,” are some of their fondest memories along with family vacations and holiday traditions.